Products & Services-> Citronella - 500ml,Pefectaire microbe solution drops. 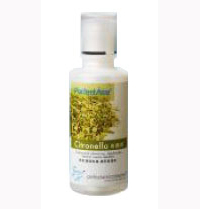 Citronella - 500ml,Pefectaire microbe solution drops. PerfectAire fragrance Citronella, toning and refreshing deodorizes, nature's insect repellent! Keeping you healthy and free to sleep or enjouy your day without being bothered by insects,per ml works out as a money saver of note!